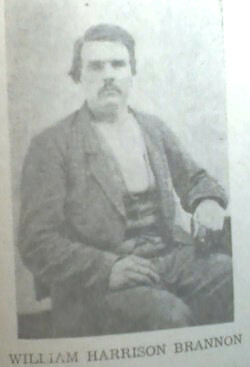 A farmer from Spartanburg County, he enlisted in Company K, 5th South Carolina Infantry as Private, date not given. He was wounded in the arm in action at Sharpsburg on 17 September. He returned to Spartanburg County and was a farmer there. Service from Compiled service records, via the Historical Data Systems database.1 Details and a post-War photograph from Nina Bell Brannon Jarrell Coles' The Brannon Family (1960) thanks to descendant Ron A. Viskoski. His gravesite is on Findagrave.